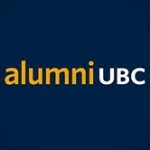 Webcast sponsored by the Irving K. Barber Learning Centre and hosted by alumni UBC and Wesbrook Village. This talk is second in the series of Wesbrook Talks, featuring arts supporter, Polygon Homes chairman and start an evolution campaign cabinet member, Michael Audain. Mr. Audain discusses how he started in the home building business, and about the influences that shaped his long, successful career and inspired his philanthropy. Michael Audain, BA’62, BSW’63, MSW’65, LLD’14, OC, OBC, is Chairman of Polygon Homes Ltd., one of British Columbia’s leading home builders. The company has built over 23,000 homes in Metro Vancouver since he founded it in 1980, and received numerous awards for its integrity and building excellence. Mr. Audain, a fifth generation British Columbian, was educated at the University of British Columbia and the London School of Economics. He is a governor and past Chairman of the Business Council of British Columbia, a past President of the Urban Development Institute and a member of the UDI Hall of Fame. An active supporter of the arts, Mr. Audain is Chair of the Audain Art Museum and the Audain Foundation. He is past Chair of the National Gallery of Canada, the Vancouver Art Gallery, and the Vancouver Art Gallery Foundation, a past director of the National Gallery of Canada Foundation, and a former member of the British Columbia Arts Council. Mr. Audain has been appointed to the Order of Canada and the Order of British Columbia. He has also been honoured with honorary degrees from four universities, the British Columbia Museums Association Distinguished Service Award, the Simon Fraser University President’s Distinguished Community Leadership Award, the Vancouver Biennale Philanthropy in the Arts Award, the Vancouver Mayor’s Arts Award for Philanthropy, the Royal Canadian Academy of Arts Medal, the Business for the Arts Edmund C. Bovey Award, the Queen’s Diamond and Golden Jubilee Medals and the Vancouver Board of Trade Community Leadership Award. He is also a Business Laureate of the British Columbia Hall of Fame. Married to Yoshiko Karasawa, Mr. Audain has two children and four grandchildren, all of whom reside in British Columbia.